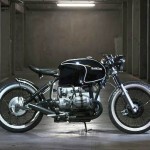 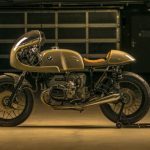 The BMW R-series is one of the most used cafe racer base bikes, and that’s for different reasons. 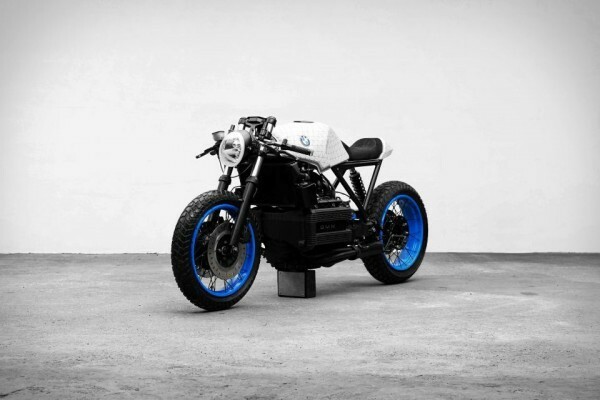 They are cool, reliable, stand out for (German) quality, are rideable and powerful. 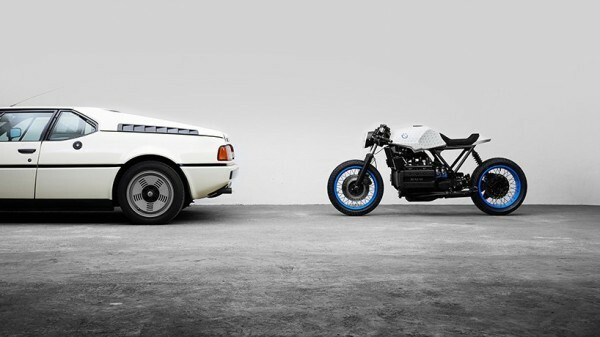 And those air cooled 2 cylinders just sound awesome. 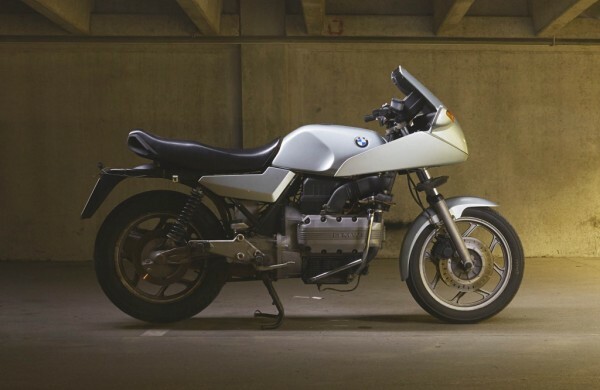 Not forget the fact that there are tons of them still riding… But there is a small shift going on: lately I see more and more motorcycle builders selecting a BMW K-series, with a liquid cooled inline 4 cylinder (which looks like a brick). 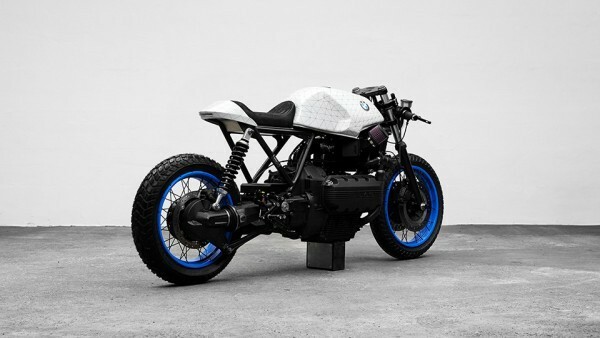 This 1985 BMW K100 Cafe Racer is called the “K101” and is built by Impuls from Munich in Germany. 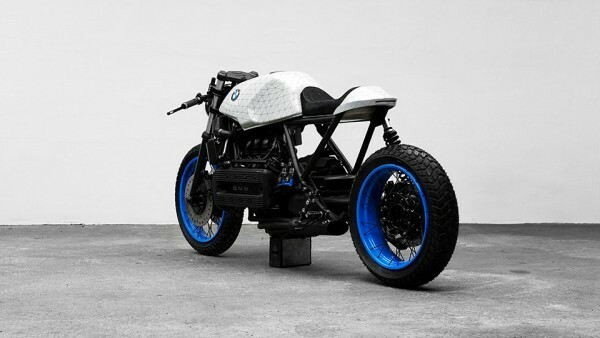 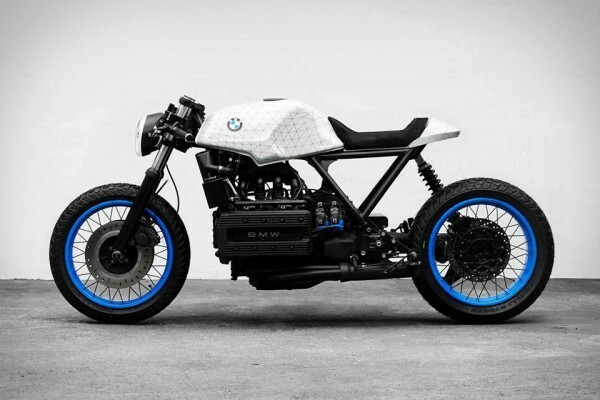 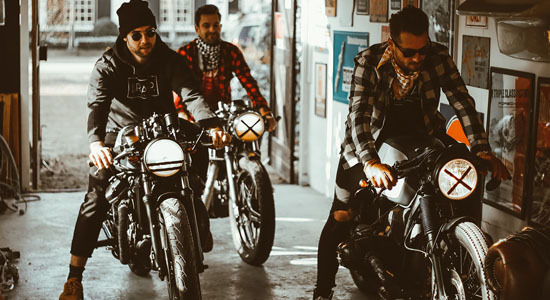 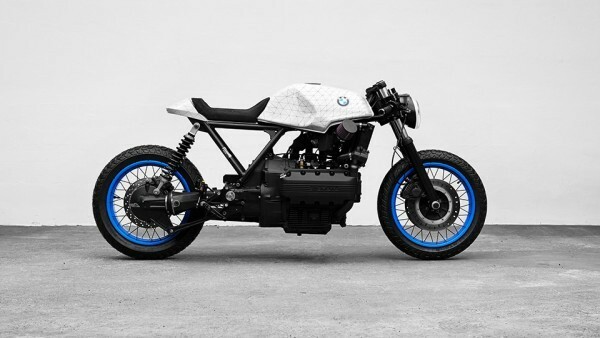 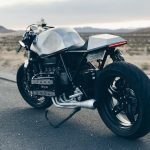 Phillip Wulk and Matthias Pittner from Impuls worked together on this BMW K100 Cafe Racer with artists Fabian Gatermann and Matthias Edlinger. 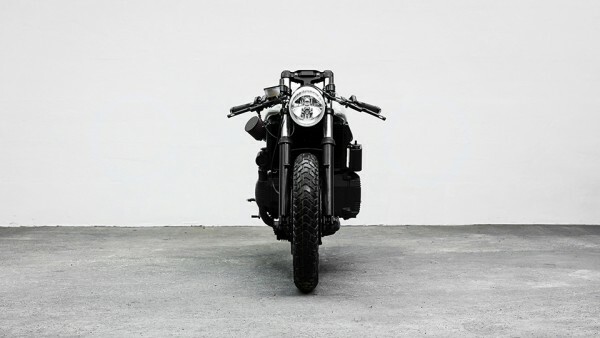 The bike is an interpretation of “motorcycle meets art”. 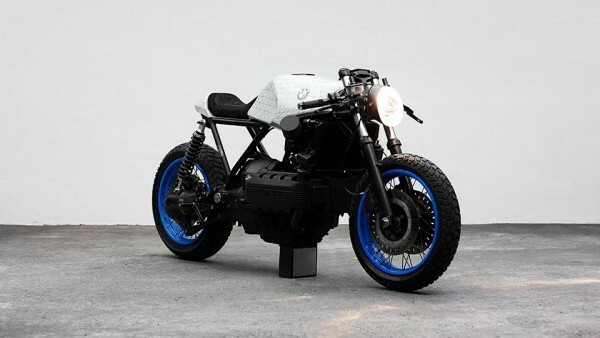 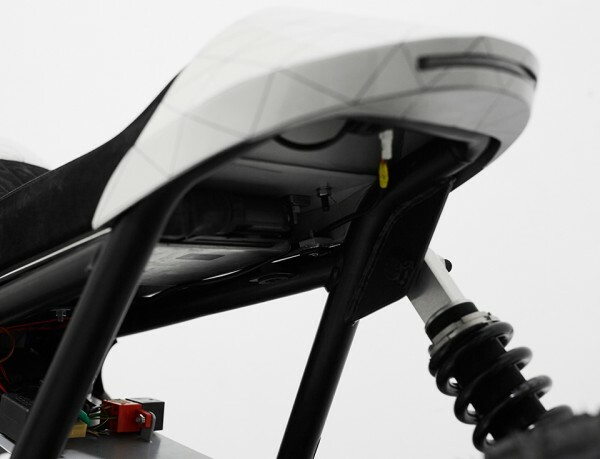 The 2 named artists worked out the concept into a 3D model and created a set of polygons through manual iteration and draw them back onto the motorcycle by hand. 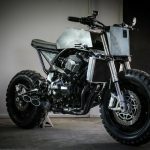 The process of building a bike from scratch with drawing, 3D modeling and manufacturing is expanded back to the computer and a manual redrawing onto the bike. 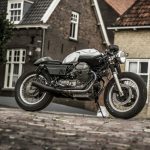 For parts they went over to multiple sources: the swing arm and gearbox are from a K1100, the 17″ spoked front wheel is from a R100R, the 17″ spoked wheel in the rear including brake caliper and disc is from a 1150GS. 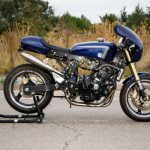 For the front brake they used a Brembo master cylinder from a Ducati ST4. 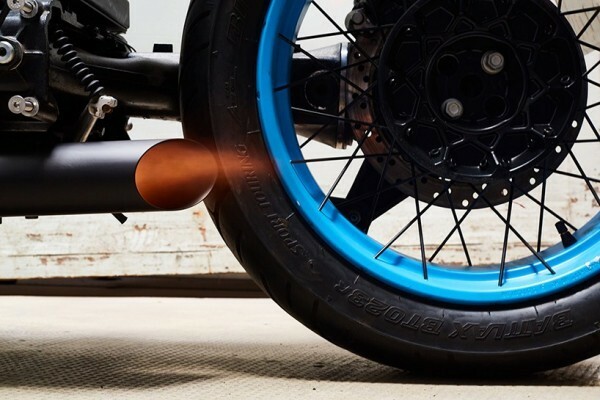 The electrical heart of the bike is based around a MotoGadget v2 with a complete new wiring harness, MotoGadget m-Blaze Disc & Pin and Motoscope mini. 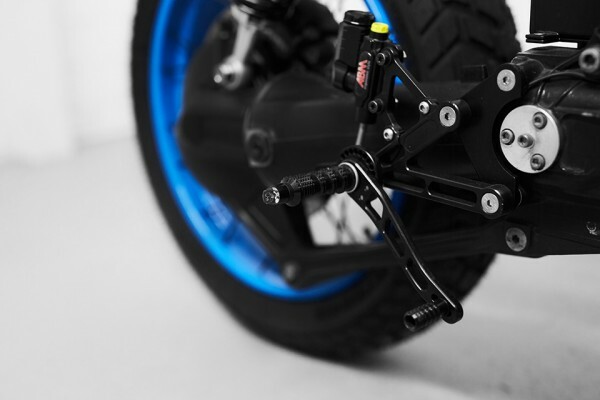 ABM delivered the rear master cylinder, handlebars, foot controls and clutch/brake levers. 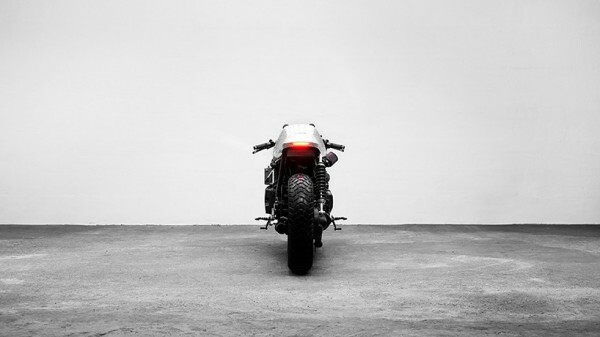 Suspension is from Wilbers. 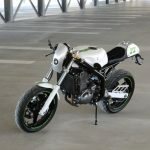 Next to these bolt-on parts they also created some one-off parts like the tail section, sub frame, seat (by Ralf Richter), air intake, exhaust, battery box, mounts, etc.